Britain is now preparing itself for a referendum on the UK’s European Union membership, after the Conservatives won a majority of seats in a surprising victory in the 2015 general election. David Cameron, the re-elected Prime Minister and leader of the Conservatives, has previously promised to hold an in/out referendum in 2017 if he won a second term in office. Eurosceptics and the anti-immigration party UKIP have called for either an EU exit or considerable reforms when it comes to UK’s role in the European Union. Of particular concern, was the current status quo with respect to freedom of movement. 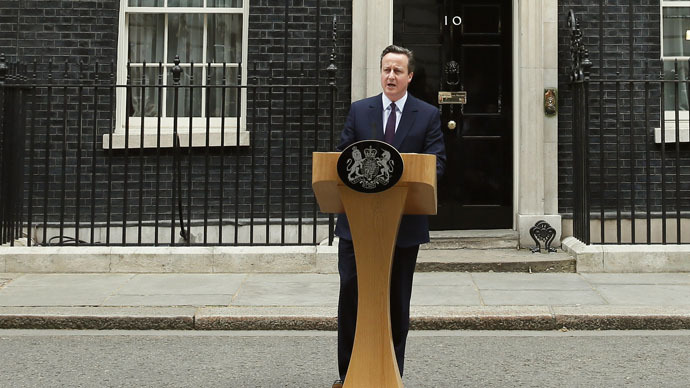 In his victory speech outside Number 10, Cameron insisted he would keep his promise. “And yes we will deliver that in-out referendum on our future in Europe,” he said. Cameron has called for reform of the UK’s membership treaty and a number of concessions, such as freedom of movement to curb benefits migration. In particular, the Conservatives wish to crack down on European migrants settled in the UK looking to take advantage of the benefits system. Cameron said in an interview earlier this year that staying in a reformed EU is "good for Britain." He added that cabinet members in a future Conservative government who wanted to campaign to leave Europe would have to resign. Conservative Boris Johnson, the Mayor of London, said earlier: "The British people haven't had a vote on this in 40 years. It will be good not just for Britain but for the whole of Europe. There are plenty of people in Brussels waiting for Britain to take the lead on this." Multinational companies and markets however are worried about a potential future of Britain outside the world's biggest trading bloc. Open Europe, a thinktank, estimated that a Brexit – a British exit of the European Union - could cost the UK economy £56 billion a year. However, a referendum is looming no matter whether Labour or Conservatives lead, according to Open Europe. "While a Labour victory might reduce the prospect of Brexit over the next five years, it could increase them over the next 10." A possible Brexit could have detrimental ramifications for the 29-member-bloc. The German news magazine Der Spiegel called David Cameron’s victory “bad news for Europe.” Germany's finance minister, Wolfgang Schauble, has warned that Brexit would be a "catastrophe."